Tali grew up in Los Angeles, California where she attended YULA, and then went on to study in Israel at Orot, a joint midrasha program with Israelis. 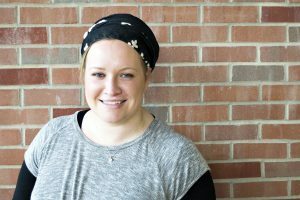 Halfway through seminary, Tali decided to stay in Israel to pursue her dreams of Aliyah and becoming a nurse. She received her registered nurse certification from Shaare Zedek Nursing School, and then received her bachelors in Nursing Sciences from the University of Haifa. Tali has been working in the Neonatal Intensive Care Unit in Shaare Zedek Hospital for 12 years, and has completed an advanced training course through Tel Hashomer nursing school, gaining the status of Specialist neonatal intensive care nurse. Alongside regular responsibilities, Tali is a shift charge nurse, manages the education of new nurses, teaches in the nursing school, and is a lecturer within the hospital for doctors, nurses, and practitioners of public health on patient experience. In addition to being a nurse, Tali has been teaching for the past 8 years. She spent 3 years with Yeshivat Simchat Shlomo in Nachlaot teaching courses such as Netivot Shalom on the Parsha, and women of the Tanach. She also completed a year-long training course for Kallah teachers with the prestigious Puah Institute in connection with the Chief Rabbinate of Israel. In her spare time, Tali enjoys playing and watching basketball, drinking coffee, cooking, hanging out with friends, and listening to music.